Known as the Mortgage Debt Relief Act of 2007, the act was scheduled to expire December 31, 2012, but received an extension for another year. Industry experts and political leaders from all sides expressed support for the act’s extension. In November, 41 state attorneys general wrote a letter urging U.S. House and Senate leaders to extend the act, arguing the act’s expiration would take away from the effectiveness of the national mortgage servicing settlement. Most of us know a friend or neighbor, family member or co-worker who has felt the impact of the slow housing market in the state, but according to experts, the state’s housing market is looking up. Nevada was hit hard by the recession that started in 2007. Job growth slowed, housing sales dried up and property values decreased, often creating “underwater mortgages” where the home owner owes more than the home is worth. Dr. Stephen P. A. Brown, PhD, is a professor of economics, and the Director of the Center of Business and Economic Research at the Lee School of Business at the University of Nevada, Las Vegas. When financial markets started to tumble in 2007, Nevada was hit hard. However, according to Brown, things may be looking up for the state’s economy, with housing starts a leading indicator of an improving economy. During a recent interview, Brown pointed out that “Housing permits in 2012 increased 45% to 7,400 in Clark County, and 40% statewide, for a total of around 8,500 housing permits.” To put these numbers in perspective, Brown continued, “Clark County, from 2004 to 2007, issued 3,200 housing permits per month”. Seeing an increase of 40% in building across the state is an indicator that: (1) the state’s housing market is on the rebound; and (2) the state’s general economy is improving based on the number of new homes permitted last year. For 2013, Brown predicts an increase of 22.5% for Clark County in new housing permits (to around 9,065) and a 20.5% increase for Nevada overall in new housing permits (to around 10,243). Has the Nevada Housing Market Hit Bottom? Other experts indicate steady growth in the housing arena, suggesting that Nevada’s residential homes market has finally bottomed out. The vacancy rate for apartments is less than 5%, according to Bonnenfant, and the rental market is seeing sustained, high levels of activity. In 2013, experts expect to see steady growth in new housing starts, and more out-of-state retirees moving to Nevada, a low-tax state. Some of these new residents will buy a home; others will rent, but in either case, with an improving economy, the housing market in Nevada seems to have turned around in 2012, with experts agreeing that steady growth is ahead for 2013. Confession: I cyber stalk real estate agents. I watch your Facebook statuses. I read your tweets, likes and shares. And, from time-to-time I even scan your Spotify feeds to figure out what new artists I should check out. The truth is, over time I’ve found that if you really want to know what’s going on in the real estate market, all you have to do is watch the conversations agents are having. But, I had to ask: is this anecdotal recovery I’m feeling real? And if so, where are the signs? Here are six answers I found that support the notion that things are looking up for the real estate industry. Take a look, share them, blog them, and shoot me a comment in the box below to let me know what signs of change (if any) you’re seeing in your area. Trulia’s latest Price and Rent Monitors showed a big boost in asking prices across the U.S. – up 5.1 percent year over-year. This a drastic change from the double digit declines of previous years. The relevant news for your buyer and seller prospects isn’t just that home prices are climbing, but that renting is getting more expensive as well. The statistics showed rents are up 5.2 percent year-over-year. For those buyers who’ve been anxious about the mortgage process and skeptical of the predatory lending, this Thursday brought great news and a sure “go” sign for them to jump into the market. Thursday the Consumer Financial Protection Bureau released it’s new mortgage guidelines which are “a set of standards that protects consumers from bad loans” according to David Stevens, CEO of the Mortgage Bankers Association. The new guidelines show that banks and the government are working out their differences to create a safer, more secure environment for homeowner hopefuls. In addition, the new guidelines give those buyers access to mortgage best practices upfront to help them ensure they’re ready for application and ownership from the start. For a great summary of the new guidelines, check out CNN’s article “New Rules Aim to Make Mortgages Safer”. Declining delinquencies aren’t just fluffed headlines, the numbers support what it seems many agents are feeling. These stats are good news for buyer’s agents whose clients and prospects need a boost of confidence. 4. 93% of Millenials plan to buy. Last quarter we released Trulia’s American Dream Survey and one of the top facts from our study showed that 93 percent of current millennial renters plan to buy. This is good news for an industry that’s suffered from years of skittish home shoppers and a lot of talk about home buying no longer being a part of the American Dream. Another sign that we’re on the way to a high-paced recovery is that investors are making major moves to capitalize on today’s opportunity. A recent story from Bloomberg covered how Blackstone Group, the largest U.S. private real estate owners, sped up it’s purchases of homes to try to beat out fast rising prices. This is a sign for on the fence buyers to start their hunt before the weather heats up and they face more competition than they can handle. These are some of the national signs that show the recovery is well under way. Comment below and tell us what you’re seeing, reading, and witnessing in your local market. Are you asking yourself, "Are there still homes available For Sale in Las Vegas?" Yes there are homes available although they are going fast (usually only on the market a week or so if priced correctly). You will need your financing lined up ahead of time so if you find a property you like you can move on it immediately. Will this be a cash deal or will you require financing? If this is a cash deal we will need the Proof of Funds in hand so we can submit it with the offer and show the listing agent and seller we are capable of buying the home. If this is a finance deal we will need to get your preapproved. I have lenders that can help you with this should you need them. Once you pick a loan officer have them supply you with a preapproval letter. We will submit this to the seller along with our offer to show them you are ready and able to get a loan for the home. We can not submit any offers without one of these 2 documents. If you would like to learn more about why the inventory is low, the effects of Assembly Bill 284, and how to prepare a strong offer, then click here. If you want to hear about the possible softening of the market when the Legislature meets next month then click here. I hope this is informative and helpful! If myself or my team can be of assistance to you please let me know. Please check out the new widgets added to the right side of this page. There are helpful facts and tools that are constantly updating with current information regard the Las Vegas and Henderson real estate markets. Please comment on this Blog entry to give us your feedback. We are constantly looking for ways to improve our site/blog/forum and we look forward to hearing your suggestions and comments. Thank you from The Adams Team at Rothwell Gornt Companies! Robert Adams explains, "How to get your Offer Accepted in the Hot Seller's Market!" Las Vegas is currently in a hot seller's market and with inventory remaining very low (below the 5,000 mark) deals are getting harder and harder to lock down. You can read a thread about the competitiveness of the current market here. 1.) Run the CMA (Comparative Market Analysis) and find out an educated estimated value of the property. 2.) Offer a strong purchase price. With homes selling around 10% above apprasisal value you will want to make your offer slightly above the CMA value. Offering less will get your rejected (NOT COUNTERED) 9 times out of 10. 3.) Always submit your highest and best offer the first time. Do not expect to start low and counter to a higher offer. With an average of a dozen offers on a property at any given time, listing agents are now only countering the best offer in front of them and then rejecting the others. 4.) Keep your offer clean. Pay your own closing closts, inspections, appraisals, etc. This will give the seller less items they have to counter. This will also show the seller and the listing agent that you and your buying agent are in tune with the market and it should make the process a smoother deal. When agents/buyers/sellers are not on the same page and in tune with the market it can cause problems once in escrow and the chances of closing the deal decreases drastically. 5.) Write up the purchase contract to purchase the property "As-Is". This means you can still get an inspection in your "Due Diligence Period" and find out the condition of the property. Do not expect the seller to pay for any of these repairs as you are buying the property "As-Is". If the repairs are minor than we advise you proceed and make the repairs yourself once you close on the property. If there are unforeseen major repairs then you can renegotiate the purchase price at that time or cancel escrow and get your EMD (Earnest Money Deposit) fully refunded. Again writing up the offer "As-Is" will keep your offer clean and less things for the listing agent/seller to counter. 6.) Submit your POF (Proof of Funds) or Pre-Approval Letter with your purchase contract so the sellers know you are capable of buying the property. 7.) This step is not a must but it does make your offer a little more competitive. Increase your EMD (Earnest Money Deposit) to slightly above the requested amount in the listing. For example if they are asking for $1,500 EMD give them $2,000. This shows them that you are serious about buying this property and you are willing to put more money down than the other bidders. 8.) Have your agent write an email or cover letter accompanying the offer explaining that you the buyer and them the buyer's agent are aware of the market conditions and have attached a clean, strong offer that includes: and list the items above that you have agreed to only because of the condition of the market ex: higher price, paying your own fees, as-is, higher emd, POF or preapproval letter, etc. We hope this is informative and we thank you for your business! The median price of resales in November was $133,000. In 2011, the median price was $114,000. That means our resale home market has increased by 16.6%. And while the resale market is improving so is the new home sales market. The new homes sales are impressive with robust sales and increased prices. The median price of a new home is $219,285. That is the highest since March 2009. Last year the median price was $204,064 which is a 7.4% increase. Usually this time of year we have a “holiday funk” in the new home sales market. The normal “holiday funk” is a 50% drop in the sales for new homes. There was no “holiday funk” this year. There were 596 recorded new home sales in November. The last 4 months new home sales averaged 600 per month. That is a 39% increase over last year or 1,379 more sales. If December ends up around 600 that will end the year around 5,500 new home sales. 2012 will boost a 40% increase in sales of new homes. With land being a major ingredient of pricing, the experts see a 10% increase in prices in 2013 as builders will pay more per acre for land. The increase in housing permits is an astounding 64% over last year. Never have we seen an increase that high. Lennar bought 167 lots for $5.2 million in Northwest Las Vegas. They are on tract to purchase an additional 160 lots early next year. In some areas, land is selling for approximately $150,000 per acre which is up 10% – 20% from last year. Despite the increase in the median price of a new home, the monthly mortgage payment for a 3 bedroom home is still less than rent with the low interest rates. 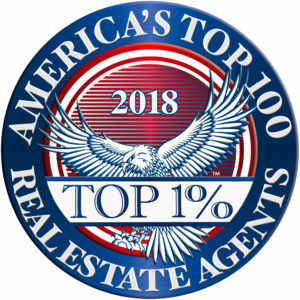 Zillow reports that Las Vegas is #4 in the sellers market stats in the country. Simply stated that means low inventory, increasing prices, and less days on the market. Las Vegas was one of 7 cities in the country that recorded positive monthly gains. Across the US home prices are back to the 2003 level for both the 10 city and 20 city composite studies provided by Case-Shiller. Investors as well as regular home buyers are finding that now is the time to make the move to buy a home in Las Vegas.